The following is a guest post from Leslie Bilyeu over at One Day Before Yesterday. In my opinion, there’s nothing like a quick hearty dinner after a busy day of hockey, ballet, meetings, work, or whatever! And it’s even better if that quick hearty dinner can be on the table in 30 minutes or less, right? 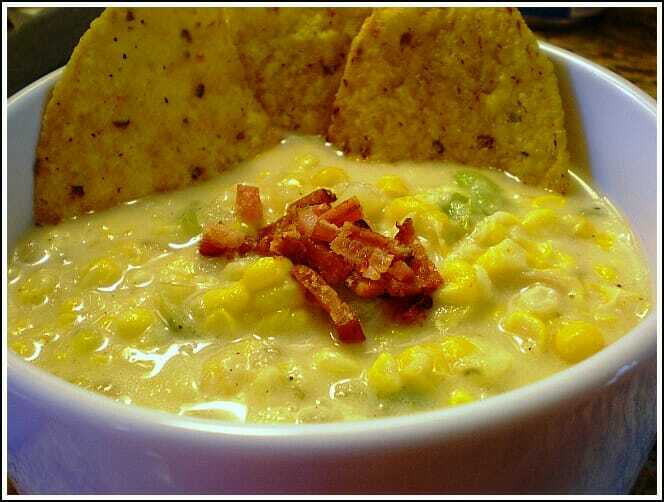 Well, you’re in luck, because the Corn Chowder recipe I want to share with you today is one of my personal favorites. I’ve made it many times and I guarantee it can be made in less than 30 minutes! Cooking bacon until crispy — set aside and reserve about 1 t. of bacon fat from the pan. 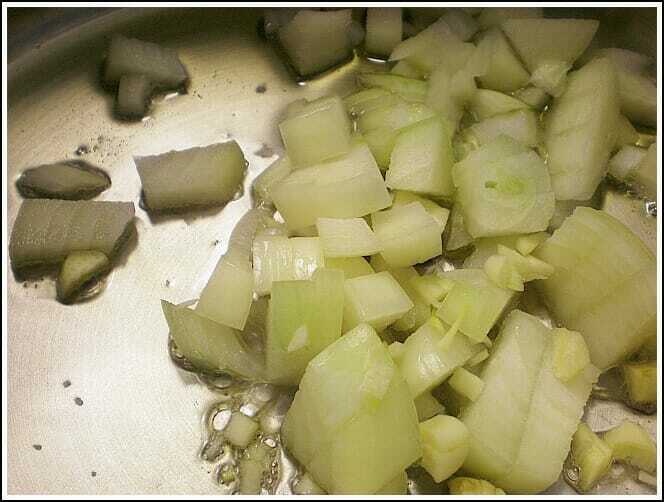 In a 5 quart pot, pour in your reserved bacon grease, olive oil, garlic, and onion. Sauté for 3-4 minutes, stirring occasionally over medium heat. ove pot from heat and mash the potato mixture in the pot. Pour in evaporated milk, creamed corn, and frozen corn. Mix well. Heat until warm all of the way through. 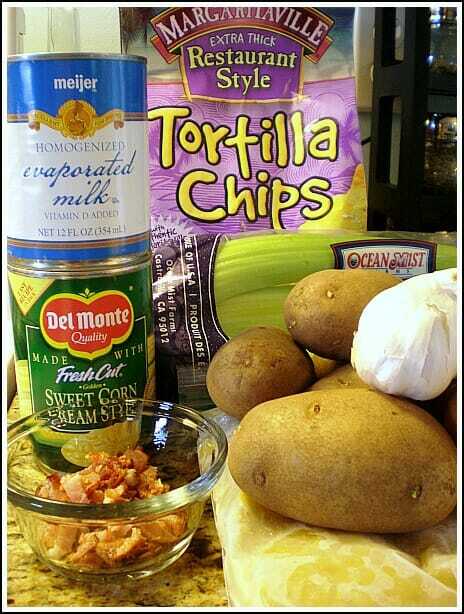 Serve in bowls with tortilla chips on the side and crumbled bacon on top. Corn Chowder is one of my favorite recipes to make in bulk and freeze. This soup keeps well and warms up easily; so if you happen to have leftovers (which is unlikely) you can easily warm up the next day or freeze for later. What are YOUR favorite winter soups? Leslie, is the writer behind the blog One Day Before Yesterday. She enjoys cooking and baking for her husband and family. Currently residing in Port Huron, Michigan, Leslie writes about her food adventures, recipes, and tips around the kitchen. You can follow her on facebook and at her blog. I made this recipe on Saturday. It was a huge hit!! (That might be an understatement). My youngest said, “I want this recipe for when I am married!” She is only six. I might be making it later this week. Perfect for this snowy blizzard weather!! Oh good — I’m glad your family loved this recipe!! I have several other soup/stew recipes to share in the coming weeks…I just love a good bowl of steamy-hot soup. I suppose you could just leave the potatoes out? Maybe add additional cream corn for creamyness and some flour for thickness? Cook the flour down first before adding liquid. 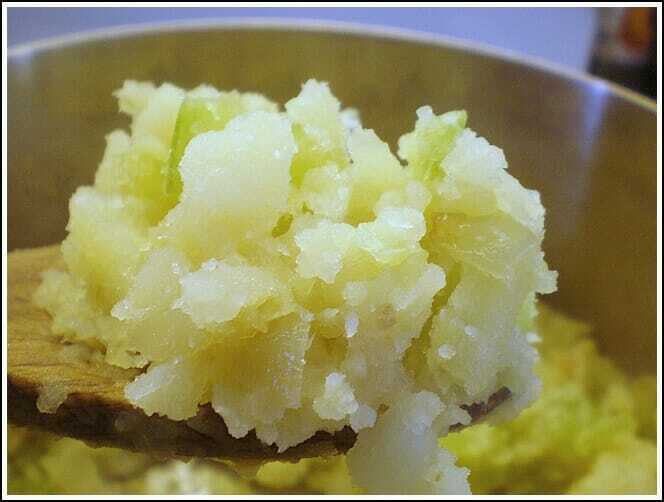 (in butter or bacon fat). I’ve never made it without potatoes, but basically you would be looking at a substitute for the creamyness and thickness of the potatoes. If you try let me know how it works out! No potatoes? What what about sweet potatoes? Noodles or Rice could be good as well. Sorry, we’re big potato lovers over here! !